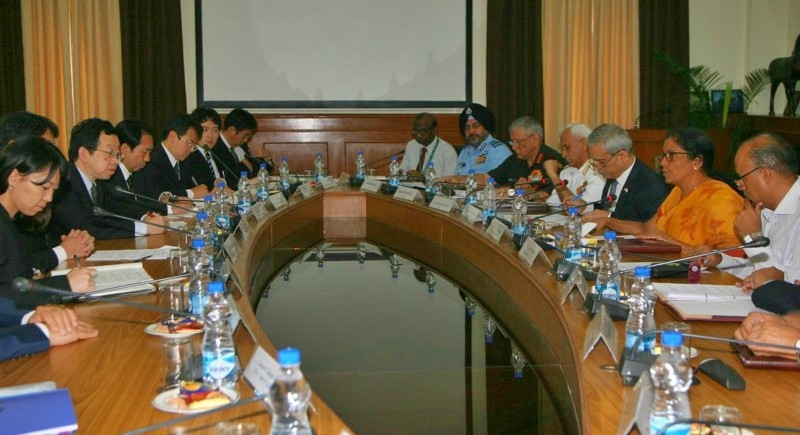 New Delhi, August 20: Recalling their long association with Japan, Defence Minister of Japan Itsunori Onodera called on Prime Minister Narendra Modi broadening and deepening the Special Strategic and Global Partnership shared between India and Japan in recent years. Pitching for the importance of cooperation in defense between the countries, PM Modi said that ‘Defence Cooperation’ is a key pillar of the relationship between India and Japan. PM Modi welcomed the strengthening of various defence dialogue mechanisms between the two countries and the enhanced linkages between the armed forces of India and Japan. Prime Minister Narendra Modi appreciated the progress in defence technology cooperation between the two countries. Apart from meeting the Prime Minister, the Defence Minister of Japan also held bilateral talks with Defence Minister Nirmala Sitharaman strengthening the base of defence. The countries' defense Chief’s held talks for the first time since last September, with China promoting its "One Belt, One Road" infrastructure initiative to connect countries along the ancient Silk Road. Japan is striving to bolster cooperation with Asian and African countries based on its "Free and Open Indo-Pacific Strategy," a policy promoted by Prime Minister Shinzo Abe and endorsed by the United States in an apparent bid to counter China's maritime influence in the region. Japanese Defense Minister Itsunori Onodera and his Indian counterpart Nirmala Sitharaman also discussed efforts to deepen military cooperation and China's growing influence in South Asia. Prime Minister Narendra Modi also warmly recalled the successful visit of Japan Prime Minister Shinzo Abe to India last year and said that he is looking forward to visiting Japan later this year.